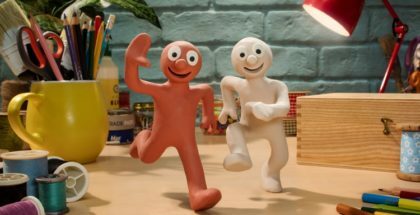 What good TV shows are on Netflix UK for kids? That’s the question many parents across the country will be asking this Bank Holiday weekend. Luckily, there are loads, thanks to a deal with DreamWorks Animation spawning tons of cartoons, an epic adaptation of Lemony Snicket’s books, a splash of anime, some classic pre-school cartoons and even a YouTuber given their own show. 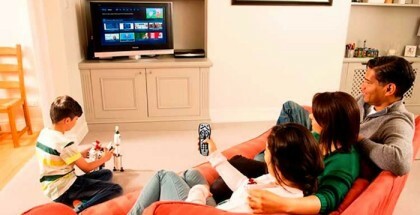 Sitting down to watch something together? 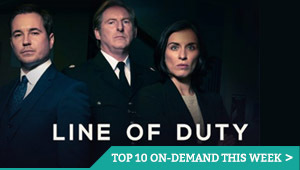 See our list of top family TV shows on Netflix UK. The streaming giant’s adaptation of the Lemony Snicket novels stars Neil Patrick Harris as Count Olaf, the nefarious distant relative of orphans Violet, Klaus and Sunny Baudelaire (Malina Weissman, Louis Hynes, Presley Smith), who will stop at nothing – including using his dubious acting skills – to get his hands on the fortune they have inherited. Created by Lemony Snicket author Daniel Handler, who exec produces the programme with Barry Sonnenfeld, the result has been anything but unfortunate. “This series from Cartoon Saloon (Song of the Sea) is aimed at the pre-schoolers but craft and artistry is evident in every frame. 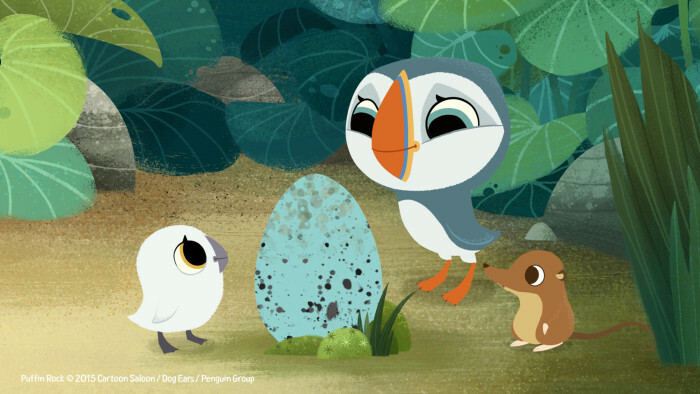 Episodes are split into 5-8 minute stories following Oona a puffling who looks after her baby brother, while their parents go out to fish and do other adult puffin things. The stories are gently amusing, featuring adventures such as an underground race with a rabbit. Oona’s other friends include a constantly-hungry shrew and a seal called Selkie (a nice hat-tip to Song of the Sea). The show goes big on the cute factor and there is very little by way of threat… Although it’s aimed at the little’uns, Puffin Rock is never stupid or dumbed down unnecessarily. 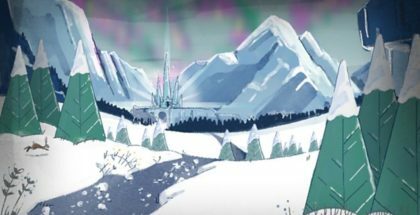 Each episode has its own little lesson about the natural world, the language is unafraid of technical words, and, with a lovely soundtrack to boot, this is a colourful, lovely, bright piece of TV.” Read our full review. “A sure sign that a show is going to be a hit with kids is if some adults start worrying that it’s not entirely wholesome. By some stretch, Netflix’s Buddy Thunderstruck is one such show – during its first few minutes, as the younglings howl with laughter, accompanying adults will frown and quietly check the certificate. No, it’s down as a PG and the protagonists are cute furry animals and – wait, did that wart-hog just shout “fart nuggets”? Yes, Mom. Yes, Dad. He did. This weekend, all you need is… animated insects singing covers of songs by The Beatles? That’s the premise behind Netflix’s original kids series, and you won’t bee-lieve how well it works. The show is the brainchild of Josh Wakely, who years – and millions – acquiring the rights some of the world’s best known songs. After winning over Sony/ATV Music Publishing through the sheer strength of his idea, the result is quietly mind-boggling: permission to play around with any Lennon/McCartney track he could name and use it to make a TV show. Don’t you hate it when you find out that underneath your nice, normal town sits a gargantuan hidden world of monsters wanting to kill you? 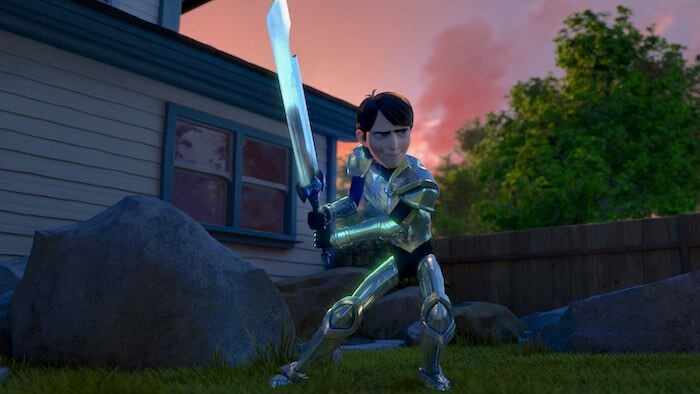 That’s what happens to Jim Lake Jr. (Anton Yelchin) in Trollhunters, Guillermo del Toro’s new animated series. The world underneath his suburb of Arcadia? That’s where the trolls live. And Jim? He’s the new Trollhunter, after he picks up an amulet that transforms him into a gleaming warrior, complete with humongous sword. Trolls. Hunting. Magical worlds. These are all the best words for Guillermo del Toro fans and he doesn’t disappoint, taking the premise from his own book and running with it as far as his imagination can take him – and that’s a very long way. An epic animation stuffed with creativity, this is a treat for del Toro fans that will soon turn their kids into fans too. Four paranormal professionals team up to tackle the weird and the otherworldly in this animated series based on the films. The voices may not be the cast you know, but there are more than enough fond memories conjured up by this 1990s classic. “I want to be the very best…” If you’ve never seen Pokemon or have to ask why this is on the list, stop reading now and start watching. Suitable for absolutely everyone. As long as you don’t mind having the theme tune stuck in your head for weeks afterwards. 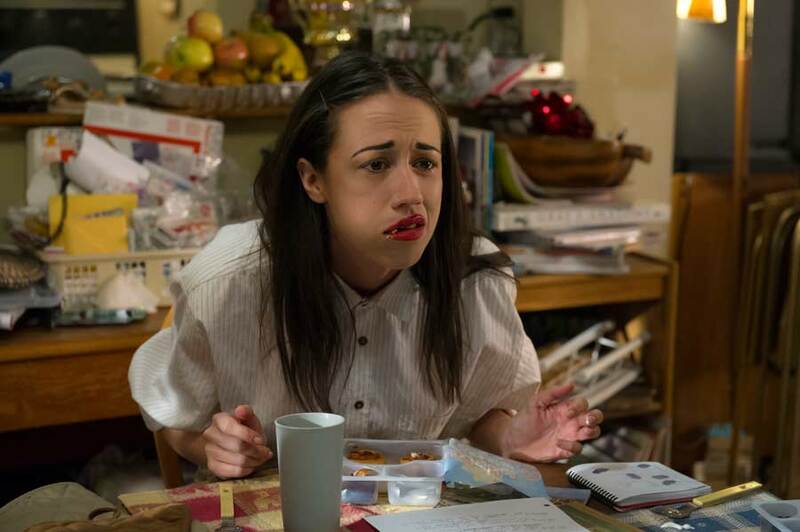 If you’re too old to dive into the world of YouTube with your kids, this is the perfect answer for some quality parent-child streaming, as Miranda Sings gets her own solo series, depicting her rise to supposed Internet stardom as a singer – despite having no talent whatsoever. Alan Partridge for teens, you’ll wince at the deliberately bad vocals of this one-joke character, but as the show goes on, a surprisingly layered portrayal of delusion and fame emerges. At the very least, you’ll know who Miranda Sings is. Educational TV? Whatever. But CBBC’s historical series, based on the popular book franchise, combines hyperactive puns and visual gags with a whole heap of facts. Witty, clever – and, most of all, very funny. Netflix’s spin-off from the How to Train Your Dragon franchise is by far the best of its DreamWorks series, thanks to the combination of a largely retained voice cast and inventive creature designs. This 1992 US animated series based on the classic comics is enjoyably passionate about its source material, keeping the plots and simple line-drawing style of Herge’s illustrations – plus an impressively cinematic opening credits sequence. It’s occasionally a tad cheesy, but no less entertaining because of it. “Crush it! Smash it! Move it! Lift it!” cries the theme tune for Netflix’s new animated kids’ series, Dinotrux. The show, based on the books by Chris Gall, combines all young boys’ favourite things: crushing, smashing, moving, lifting, trucks and – of course – dinosaurs. The premise gives us the prehistoric creature-construction vehicle hybrid you’ve been waiting for, a mix of machine and monster that paves the way for all manner of wonderfully dreadful puns. This a world populated by Tyrannosaurus Trux, Scraptors and – wait for it – Tow-a-constrictors. Dinosaurs, trucks, a message about teamwork and endless wordplay? What’s not to like? Na na nah, na na nay… If you’re not singing the theme tune to this charming adaptation of the popular books, you soon will be. The lives of three young adults are changed when a fantasy card game becomes their reality in this popular anime. A video game based on that video game your kids keep forcing you to buy figurines for? This Netflix original has warning signs all over it, but the result is a very likely, funny affair. The characters never fully come to three-dimensional life, but there are jokes and exciting set pieces galore. If your kids like the computer game, they won’t be disappointed. 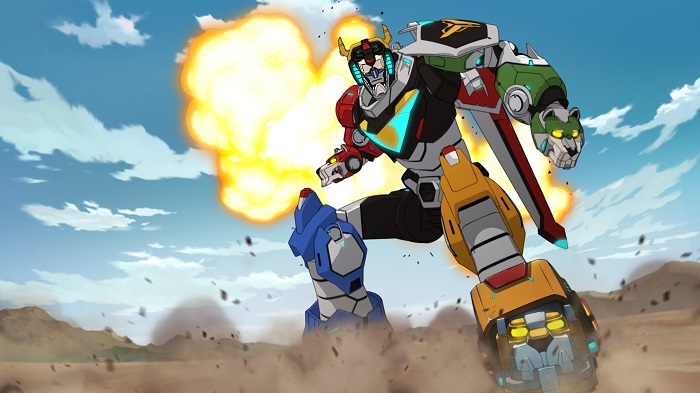 Netflix’s reboot of the 1980s anime (which sees five unsuspecting teens transported from Earth into the middle of a sprawling intergalactic war, where they become pilots for five robotic lions) might be the best thing to happen to cartoons since The Legend of Korra. And just like The Last Airbender and Korra before it, the show delivers kinetic action sequences and moments of Disney-like mirth at the same time. This will fire the imagination of kids everywhere. Five teens become a team of super fighters recruited by an intergalactic wizard to fight the evil Rita Repulsa in this hugely popular 1990s phenomenon. Come for the nonsensical action crafted around dubbed clips from a Japanese TV show. Stay for, well, exactly that. Nobody likes getting the bus to school – unless, that is, your bus is a magical vehicle that can shrink, fly and take you on a host of fun adventures. That’s the simple premise behind this classic animation, which saw Lily Tomlin voice Ms. Frizzle, the world’s best teacher and the energetic leader of this group trip to destinations both educational and entertaining. Already rewatched the episodes from your childhood? Netflix also has its own rebooted version, with Ghostbusters’ Kate McKinnon as the new Ms. Frizzle. It encourages kids to think critically and creatively to answer questions and solve problems. More importantly, though, it features a high-tech bus that can fly. All aboard!